In a pan, boil the milk with the cinnamon stick and the lemon peel and let it cool. Beat the yolks very well with the sugar and cornstarch and gradually add the milk, stirring constantly, until smooth. Bring to a boil over medium heat, stirring constantly until thickened and remove the lemon peel and cinnamon stick. 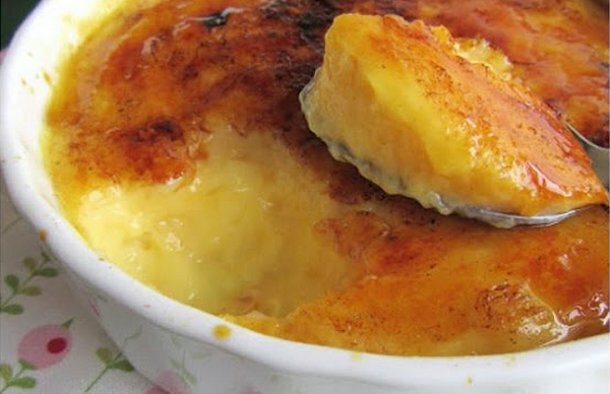 Put the cream in dessert dishes and once cool, refrigerate. Before serving, sprinkle with sugar and burn it with a kitchen torch if you have one. 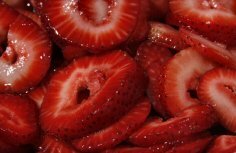 How to make Portuguese strawberries in Port. 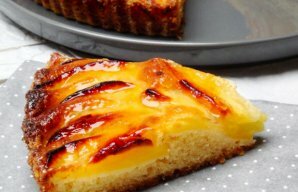 This 4 ingredient Portuguese Molotov flan (pudding) recipe (receita de pudim de Molotov) is very simple and easy to make and makes a delicious light dessert.